UK mobile network GiffGaff has been discovered to be blocking access to VPN provider websites essentially cutting users from being able to secure their privacy. GiffGaff is a UK mobile network which launched in 2009 and runs off the back of the larger O2 network. This, in turn, is owned by global telecoms giant Telefónica. The network markets itself as “The mobile network run by you” attracting users by its more personal feel for the service. 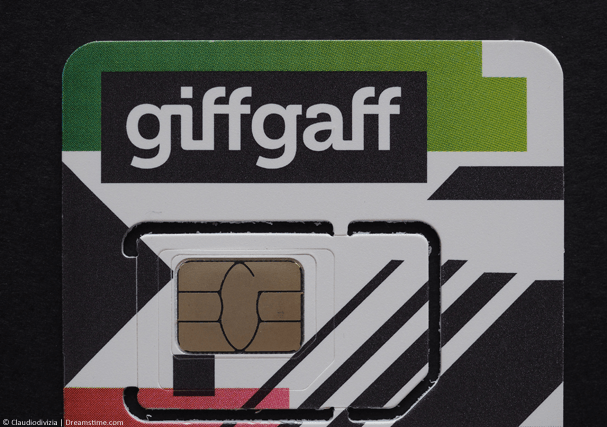 GiffGaff attracts users based on their highly competitive contract-free deals and in 2013 it was estimated the network had at least 1 million subscribers. While VPN connections using the most popular protocols such as OpenVPN are not blocked across the GiffGaff network, accessing the websites of the companies who provide these services is. When GiffGaff users attempt to visit the most popular VPN providers such as ExpressVPN, IPVanish or NordVPN they’re forwarded to an “Adult Content” page. One would assume that simply by clicking the “Allow Adult Content” button would lead to a simple process to unblock said sites. This has been found to not be the case. If GiffGaff users want to access VPN sites which are wrongly labelled as “Adult Content” then they’ll need to supply either their Passport or Driving Licence details. In a stroke of sanity, users are not required to upload or email photographs of their Passport or Driving Licence but are instead required to enter the unique string of details which identifies either document. Passports are required to be the machine readable type which work in “e-gates”. If you don’t have this type of passport then you’re out of luck. Northern Ireland customers of GiffGaff are even more restricted as Driving Licences from that region are not accepted, only mainland GB ones are. Which leads to the question of, what if you don’t have either a GB issued Driving Licence or machine readable passport? Accessing a VPN provider’s website clearly isn’t “adult material”, so why are GiffGaff blocking VPN provider websites specifically? The phrase “multitude of purposes” is extremely vague and GiffGaff users should be concerned by this loose wording and filtering applied to a simple website. By accessing the website of a VPN provider does not suggest you will sign up for their service and as VPN services are completely legal in the UK and most other countries it should not matter if you did or not. Most VPN providers only accept payments that are available to users over 18 and so such restrictions seem overbearing. In an ironic twist the way to access VPN provider websites without supplying the restrictive passport or driving licence details is to use a VPN app. This would mean signing up for a VPN service such as ExpressVPN using an entirely different network like a home broadband connection and then installing their mobile app. Once connected to ExpressVPN users of GiffGaff will be able to browse the internet without restrictions. Allowing them to access both VPN provider websites and any other sites wrongly (or correctly) deemed “Adult Content”.